Looking for the best tile cleaning in El Dorado Hills? Look no further! Carter’s Carpet Restoration is so much more than just carpet cleaning. Carter’s specializes in all things steam cleaning, including pet odor removal, upholstery cleaning, wood floor cleaning and the best tile cleaning in El Dorado Hills! Carter’s is locally owned and family operated so you’re sure to get the best tile cleaning in El Dorado Hills, guaranteed! 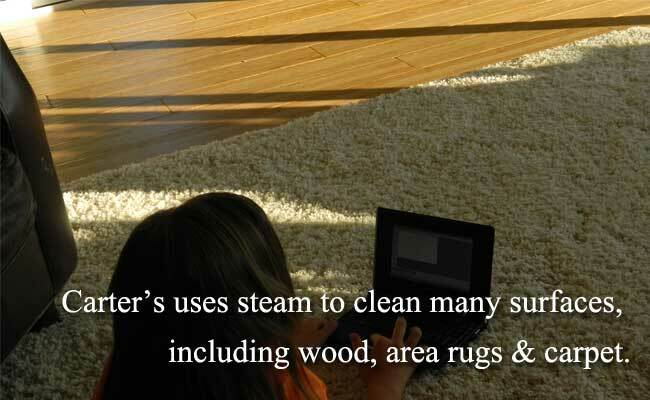 Carter’s uses steam to gently clean your stone or tile surfaces. The high-pressure steam is used to agitate and loosen soil deposits so they can be extracted during the cleaning process, leaving you with the best tile cleaning in El Dorado Hills. Keep in mind that Carter’s can clean nearly all hard surfaces, including showers, counter tops, stone floors, tile floors, and especially grout lines. 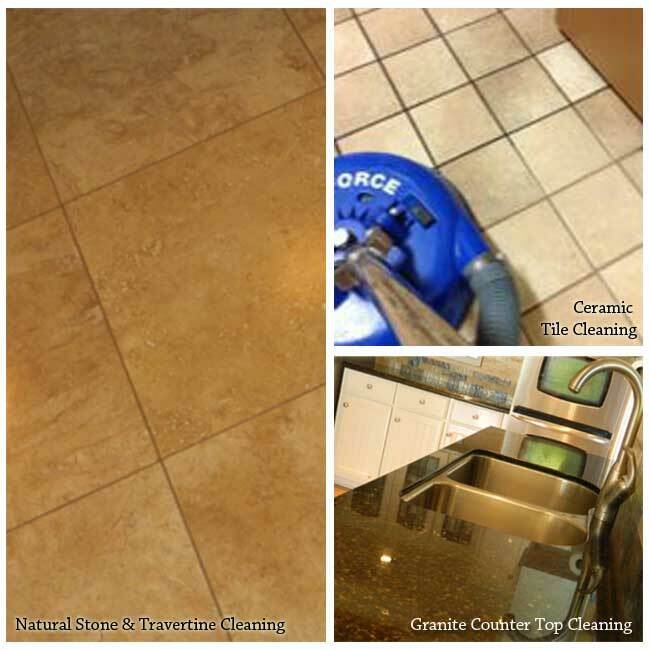 Examples of stone and tile cleaning in El Dorado Hills. Many people wonder if a professional tile cleaning is really going to make a difference in the appearance of their floors, and if it’s worth the expense. More often than not, the answer is yes. 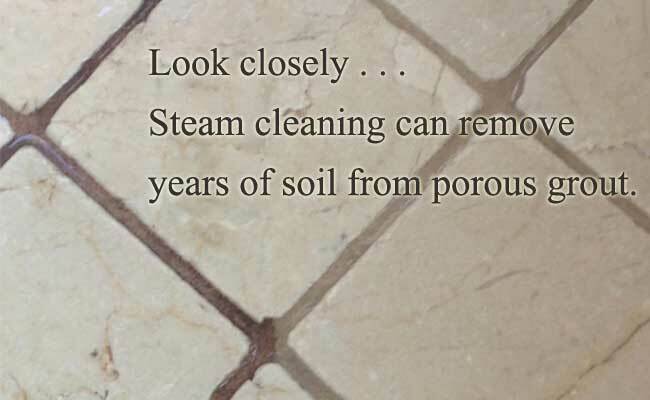 A professional cleaning uses the power of steam to remove soil that has settled deep into the grout lines – places that you just can’t reach with surface cleaning. Carter’s offers free estimates and they can even do a “test-spot” on your tile so you can see what the results will look like. Be sure to check out the gallery to see actual examples of tile cleaning done by Carter’s. Call today to schedule your free estimate and get the best tile cleaning in El Dorado Hills! You’ll be glad you did. 916-933-7807. Having your stone, grout and tile cleaned by a professional in El Dorado Hills can significantly improve the look of your floors, counter-tops and even shower stalls. These surfaces are all stunning when clean. A professional tile cleaning uses steam agitation to remove the deep down soil and oil that can build up in your grout lines. If you are interested in renewing the look of your tile or stone without the expensive cost of replacement, a professional steam cleaning may be exactly what you need. Consider a tile cleaning from Carter’s Carpet Restoration in El Dorado Hills to bring life back into your floors, show stalls and counter-tops. Tile and grout are notoriously difficult to clean, but not if you have the right tools. Carter’s has large truck mounted equipment for stone, grout and tile cleaning. This equipment gives you high pressure steam which is used to agitate deep-down soil deposits. Once loosened, the soil is extracted from the tile surface and grout lines, leaving you with an amazing grout and tile cleaning. First, furniture is removed from the area that you want cleaned. Then your tile or stone is inspected to identify any stains, loose grout, or potentially difficult areas. Second, pre-treatment (cleaning solution) is applied to the surface of your stone, tile and grout to help loosen soil, dander and oil. Next, any areas that require special attention will be hand agitated with grout brush and specialty spotters to give you the deepest grout and tile cleaning possible. Then, the high pressure steam cleaning takes place. Again, this is a true “steam cleaning”. The steam comes off the truck at 250 degrees, leaving you with a completley sanitary grout and tile cleaning. Finally, hi-tech air movers are used to speed-dry your floors so they are safe to walk on immediately. Sealing: There are a variety of sealents available. A sealent offers protection for the stone and helps to repel future stains. Keep in mind that it can be removed with bleach. So if you regularly bleach your tile floors, sealent is not for you. Additionally, a sealer has a limited life time. With average traffic, you can expect it to last 3 to 5 years. Many people opt to seal their stone, tile or grout themselves. This is a good way to save some money, if you’re up for the task. Remember: If you do opt for a sealant, keep foot traffic to a minimum for 24 hours and keep all water off the sealed area for at least 72 hours.